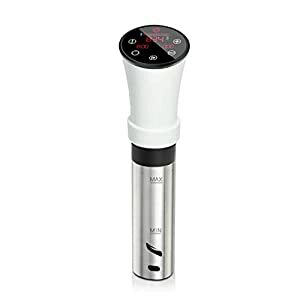 Get quick results and let the compliments flow, when you use your new Digital Sous Vide Immersion Cooker. 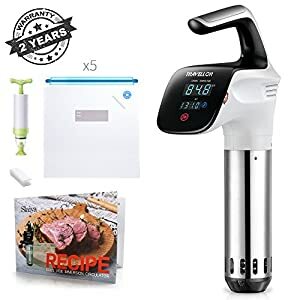 Easily retain natural flavors with little to no added salt or fat during cooking – and with the vacuum sealed technique used in Sous Vide cooking, vital minerals and vitamins are not lost during the cooking process (unlike boiling or steaming). 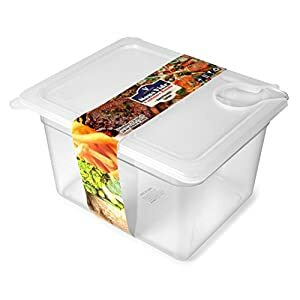 Cook like a professional – your family and guests will wonder how you were able to create such moist and delicious meals. 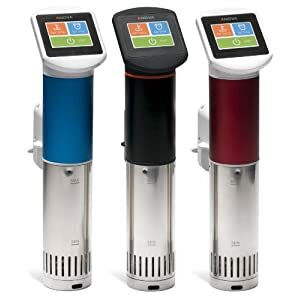 Your secret: use the same techniques chefs and restaurants have been using for years with your new Sous Vide Immersion Cooker. 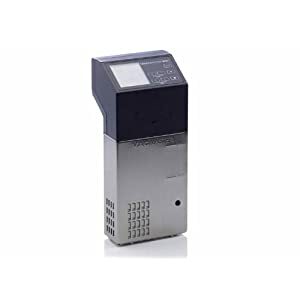 Precise Temperature Control – our machine allows you to quickly set the exact temperature for a perfect meal. 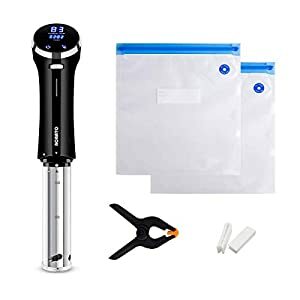 Start in Seconds – our simple interface allows you to be off and running with your first meal quickly – place your meal in vacuum sealed bags, add water to the container, insert your new Sous Vide Cooker, Set It, and come back for a thoroughly cooked breakfast, lunch, dinner, or dessert. We are proud to offer solid kitchen equipment at great prices – it’s what makes us tick! This Sous Vide Immersion Cooker comes with our money back guarantee. If the cookers fails to live up to your expectations, simply return it for a full refund. 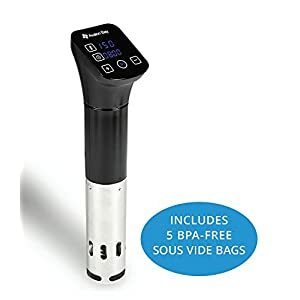 COOK LIKE A PROFESSIONAL – Using our Sous Vide Immersion Cooker, you can bring restaurant quality results to your home by using the same techniques professionals use! Impress your friends and family with tasty, moist, and succulent dishes. 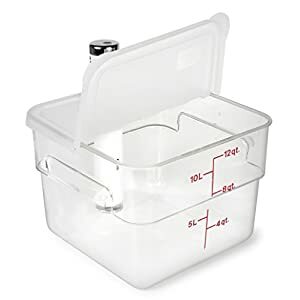 PRODUCES MOIST DISHES – Quickly heats and circulates water in the pot, evenly cooking food to an exact temperature. Cook meat, desserts, soups, eggs, fish, vegetables, and more! 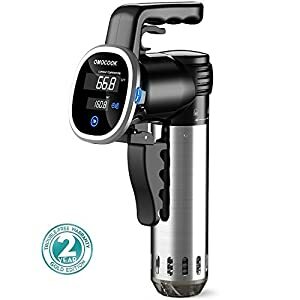 START SOUS VIDE COOKING IN SECONDS – Our simple interface allows you to easily set the temperature and cook time – uncomplicated with amazing results. EASY TO USE – Simply attach the cooker to any pot, add water, place your ingredients in glass jar or sealed bag, and press start. Voila! 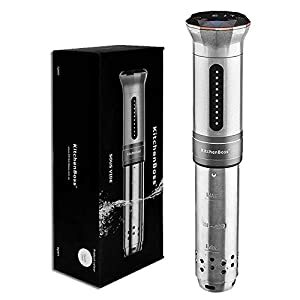 MONEY BACK GUARANTEE – We are confident that you will have a great experience with this Sous Vide Immersion Cooker. If our cooker fails to live up to your expectations, simply return it for a full refund.